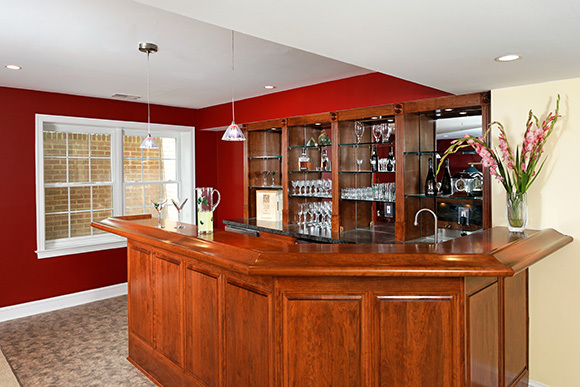 Here’s the perfect place to host a party, watch the game, or celebrate an occasion. 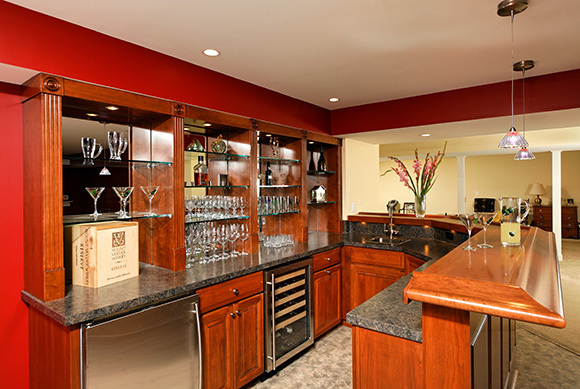 It’s a great space for entertaining family and friends and provides everything you need: a refrigerator, bar sink, built-in wine chiller, plenty of countertop space and a display area for all your stemware and decorations. 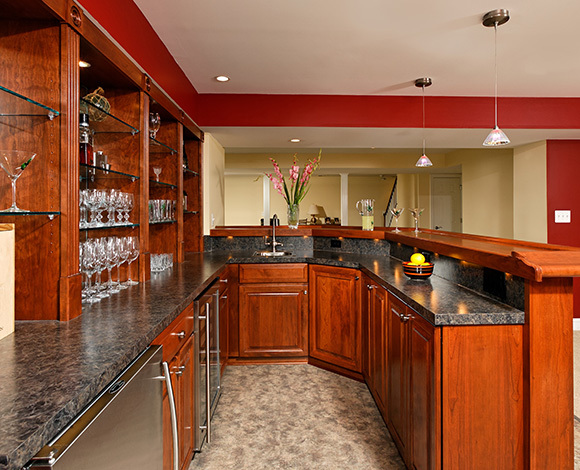 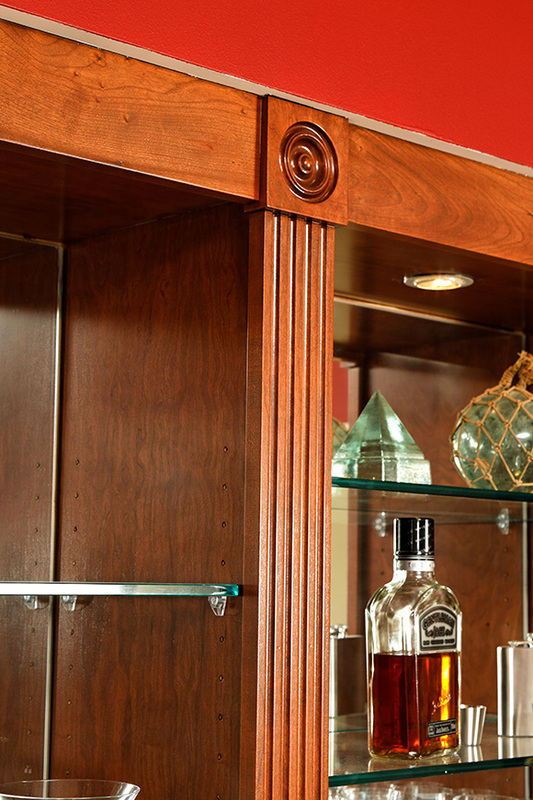 The rich hue of stained cherry wood gives it an elegance and boldness.